As we have informed you the previous month, Cyprus NGO Initiative on Law Reform, in cooperation with the INGO Conference of the Council of Europe ( http://www.coe.int/t/ngo/default_en.asp) and Commissioner of Voluntarism and NGOs, are going to co-draft a Policy Paper regarding the Empowerment of Civil Society in Cyprus. 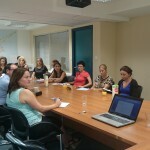 NGO Initiative hosted in Cyprus last month Mr. Jeremy McBride, member of the INGO Conference of the Council of Europe. Mr. McBride met various stakeholders dealing with the Civil Society in Cyprus , discussed with them the problems that the Civil Society in Cyprus is facing and how these can be tackled in order for the Cyprus’ Civil Society to be empowered. 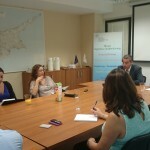 Mr. Jeremy McBride had different meetings with the Commissioner of Voluntarism and NGOs, civil servants of various Ministries working on voluntarism and NGO issues and funders of the Civil Society in Cyprus, like the Representation of the EU in Cyprus, the Planning Bureau, UNDP and USAID. 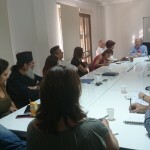 Also, Mr. Mcbride had a meeting with representatives of the Civil Society in Cyprus, and discussed with them the problems that Civil Society in facing, as well how Civil Society Organisations see their empowerment. Mr. Jeremy McBride will be back in Cyprus on the 9th of December, to present the draft of the Policy Paper on the Empowerment of Civil Society in Cyprus on a public consultation. More information will be announced soon. Συνάντηση κ. Jeremy McBride με εκπροσώπους της Κοινωνίας των Πολιτών στην Κύπρο.